Materials bamboo lamellas and black powder coated steel tube legs. 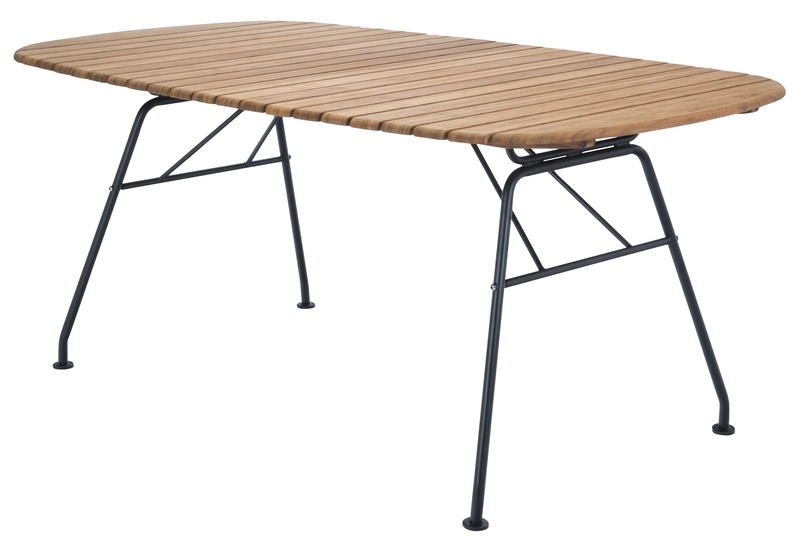 The Beam outdoor table has a bamboo lamellas tray with a black powder coated steel tube base. This base can be folded under the table, which facilitates storage for cold seasons. The Beam table goes very well with the Paon chairs and benches.